LED Drop of CaCl2 (aq) Resistor 330 Ω (ohms) Electric current : flow of charged particles. 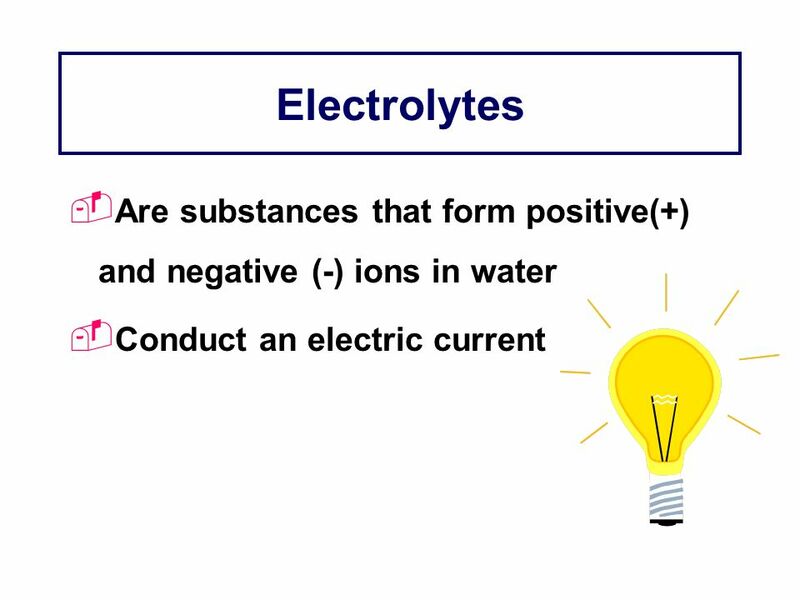 One type of current is electrons flowing through a wire, from cathode (negative electrode) to anode (positive electrode). 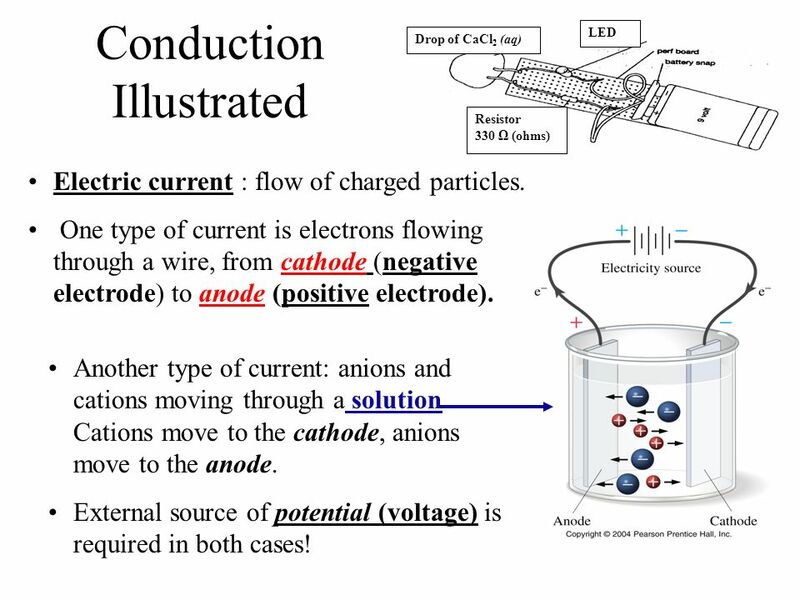 Another type of current: anions and cations moving through a solution Cations move to the cathode, anions move to the anode. 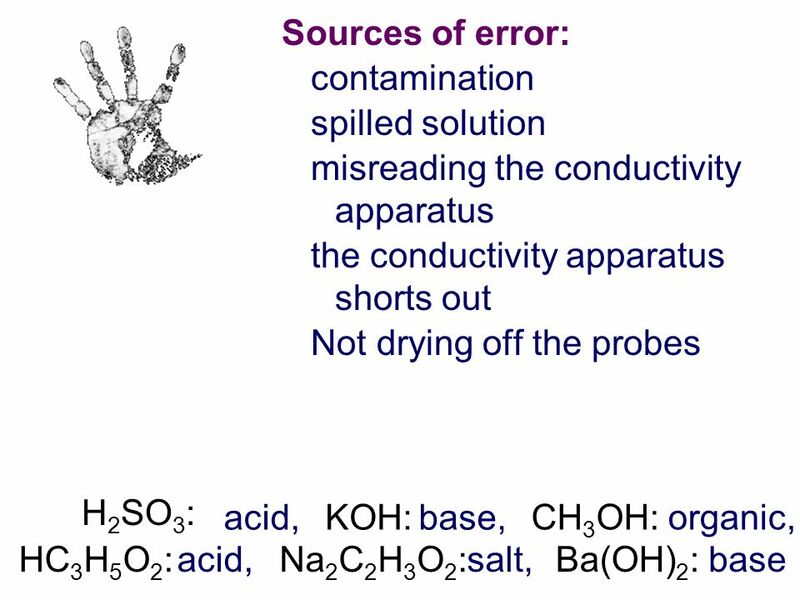 External source of potential (voltage) is required in both cases! 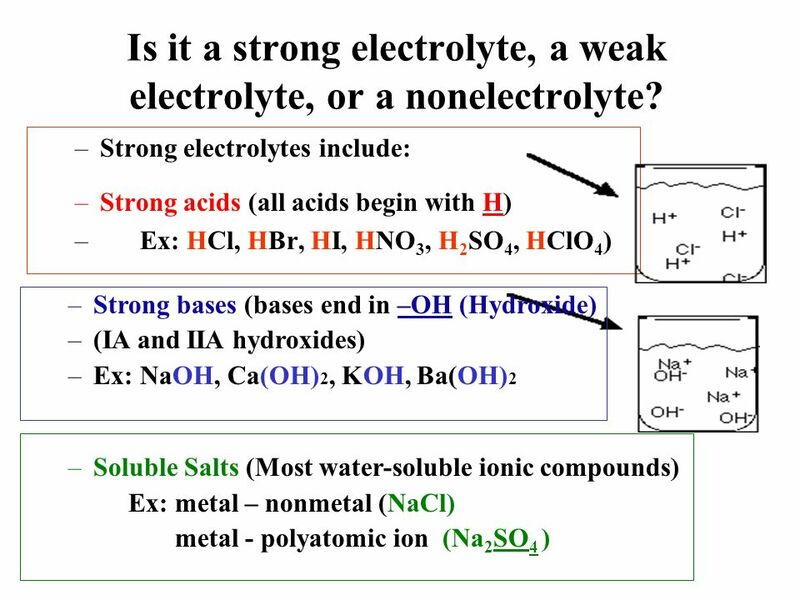 5 Is it a strong electrolyte, a weak electrolyte, or a nonelectrolyte? 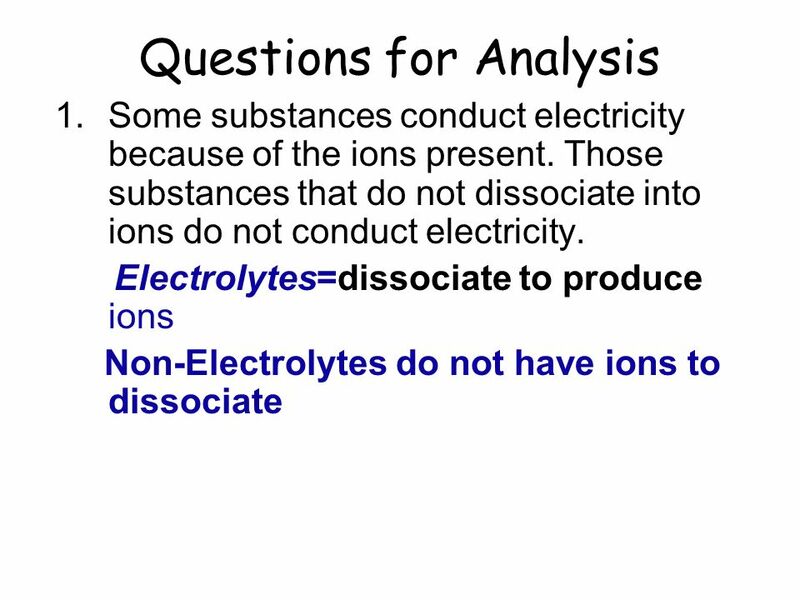 Electrolytes dissociate to produce ions. 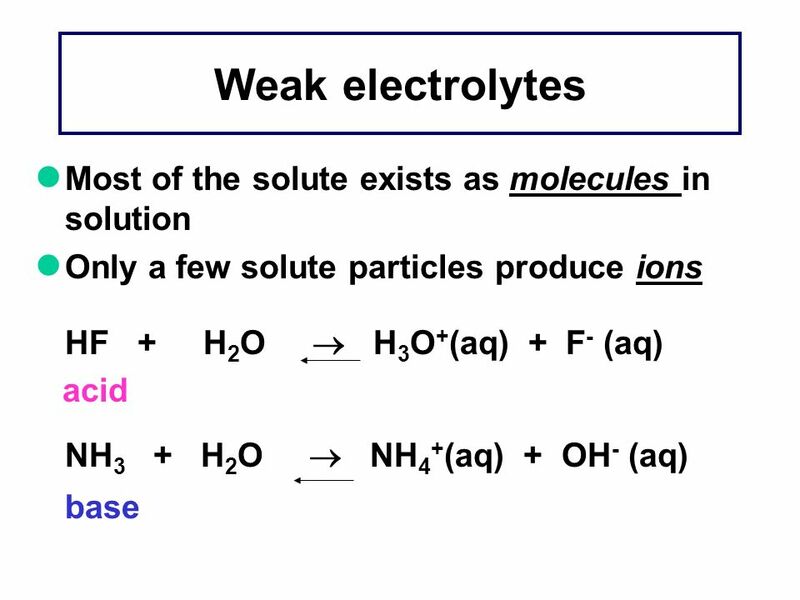 The more the electrolyte dissociates, the more ions it produces. 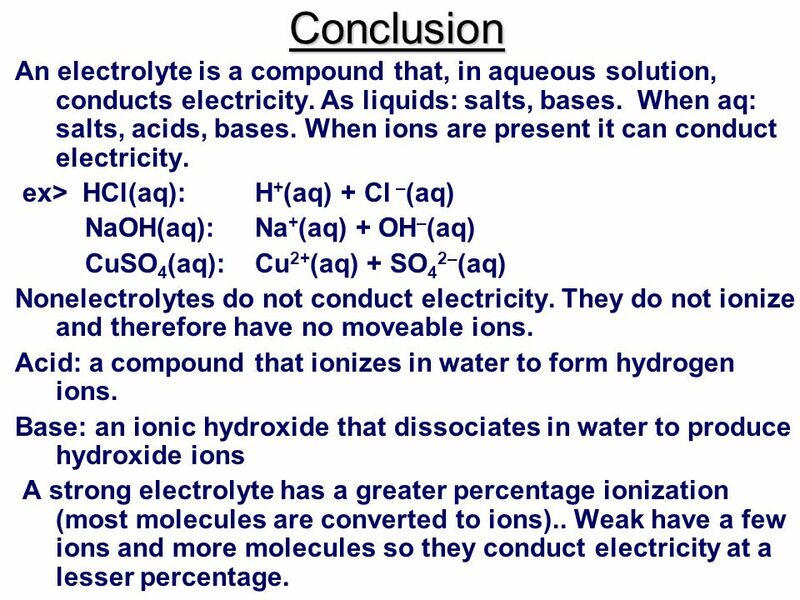 19 Conclusion An electrolyte is a compound that, in aqueous solution, conducts electricity. As liquids: salts, bases. 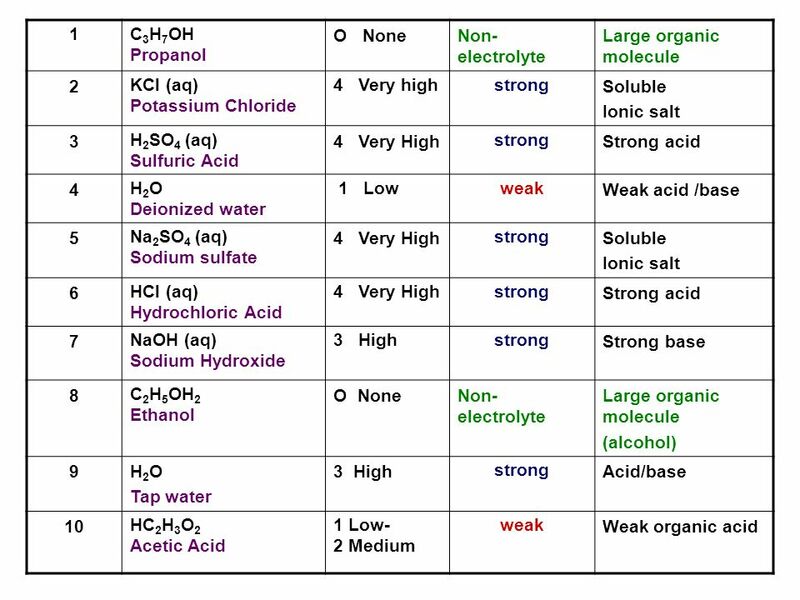 When aq: salts, acids, bases. 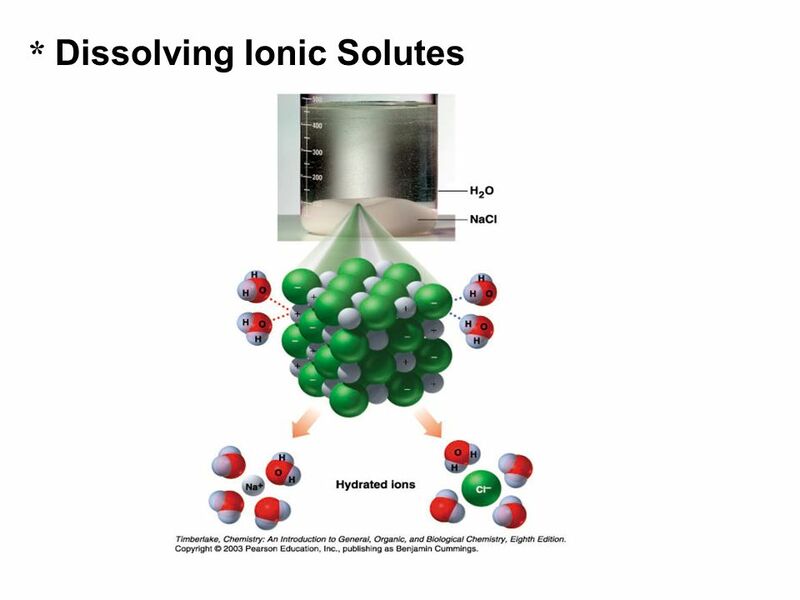 When ions are present it can conduct electricity. 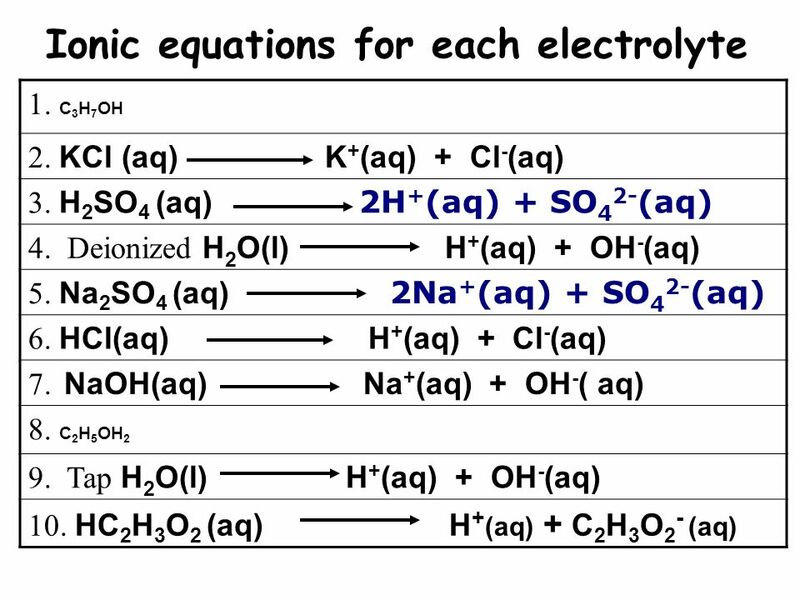 ex> HCl(aq): H+(aq) + Cl –(aq) NaOH(aq): Na+(aq) + OH–(aq) CuSO4(aq):	Cu2+(aq) + SO42–(aq) Nonelectrolytes do not conduct electricity. They do not ionize and therefore have no moveable ions. 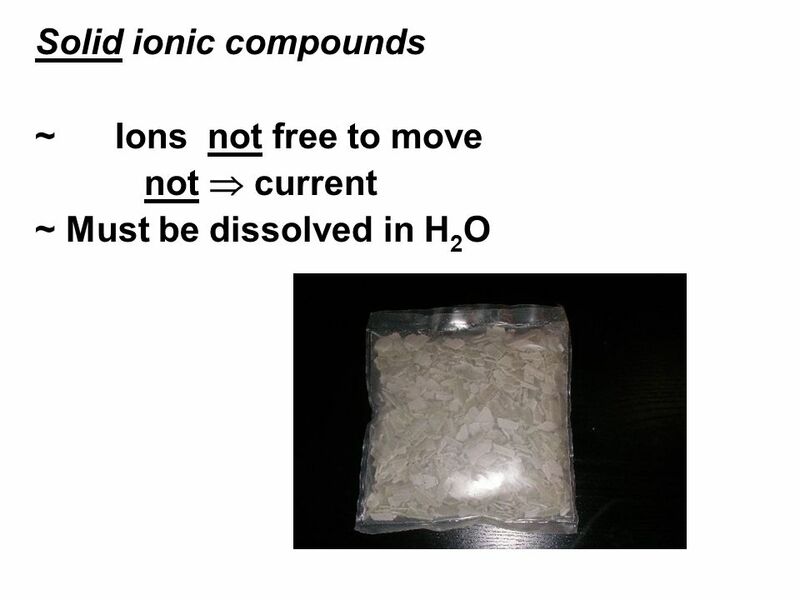 Acid: a compound that ionizes in water to form hydrogen ions. 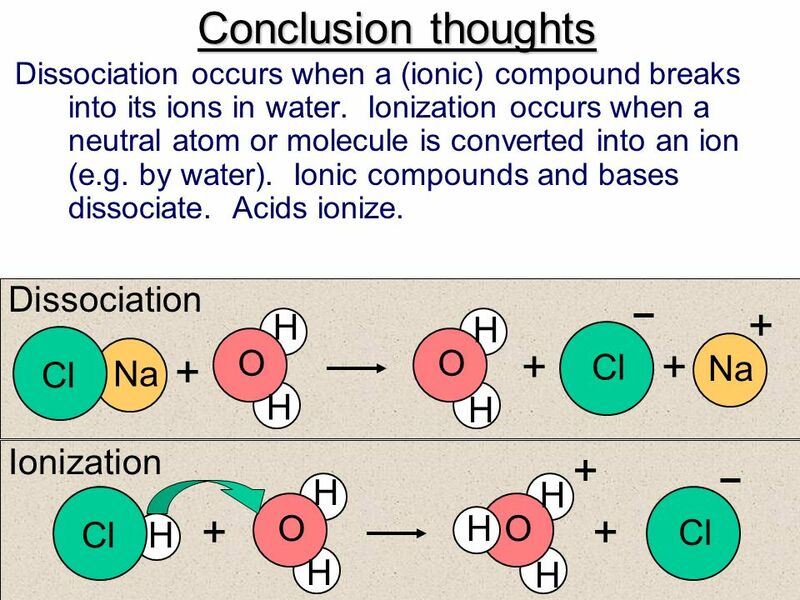 Base: an ionic hydroxide that dissociates in water to produce hydroxide ions A strong electrolyte has a greater percentage ionization (most molecules are converted to ions).. Weak have a few ions and more molecules so they conduct electricity at a lesser percentage. 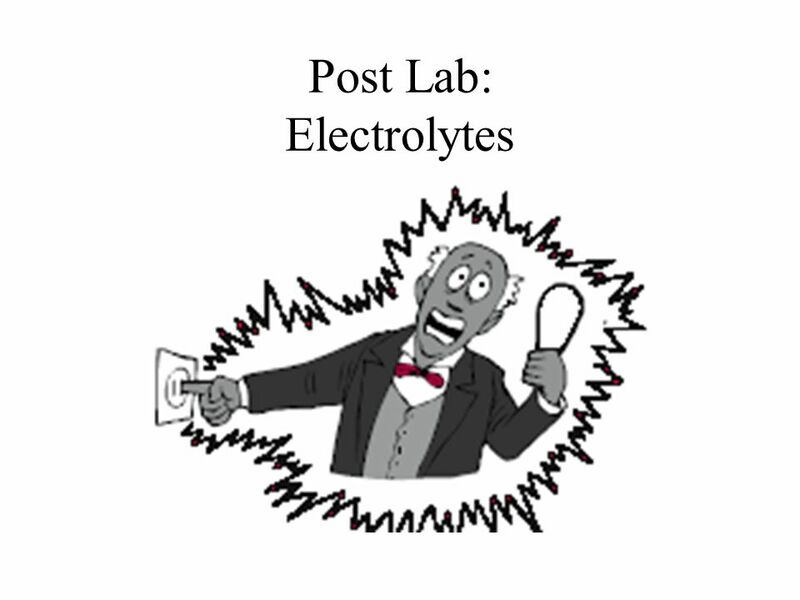 Download ppt "Post Lab: Electrolytes"
1 Distilled H 2 O -- 2Tap water-- 3NaCl5 4CuSO 4 5 5Sugar5 6Alcohol5 7HCl HC 2 H 3 O HC 2 H 3 O NaOH5 12NaOH1 13HC 2 H 3 O Observations. 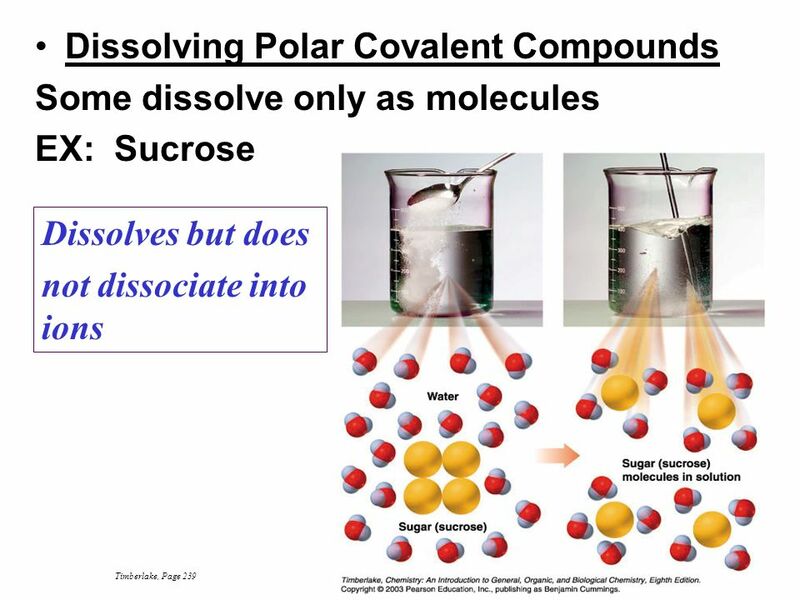 © Copyright R.J. Rusay Aqueous Reactions Dr. Ron Rusay Spring 2002. 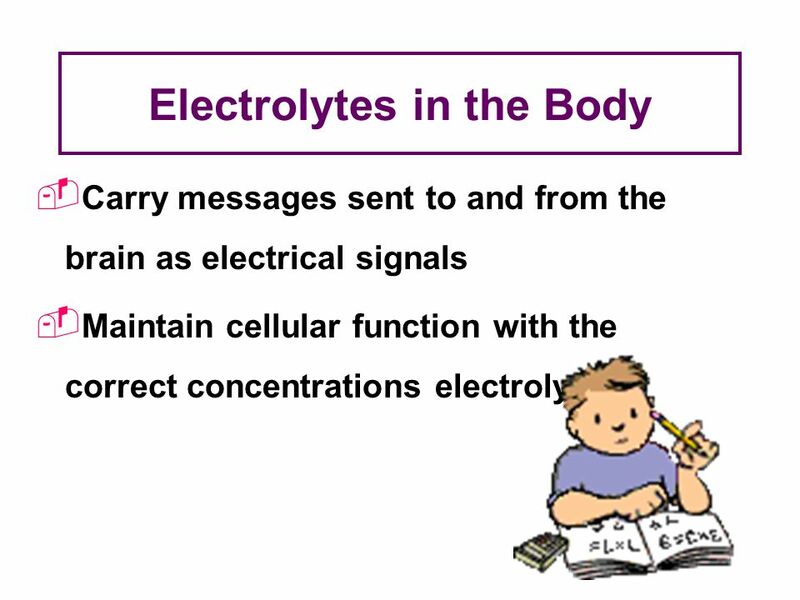 Electrolytes. 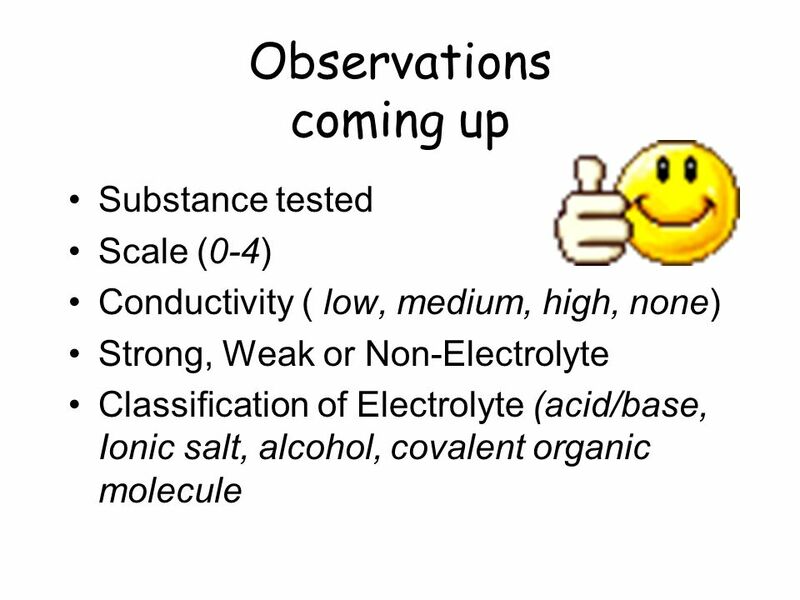 Are substances that form positive(+) and negative (-) ions in water Conduct an electric current. 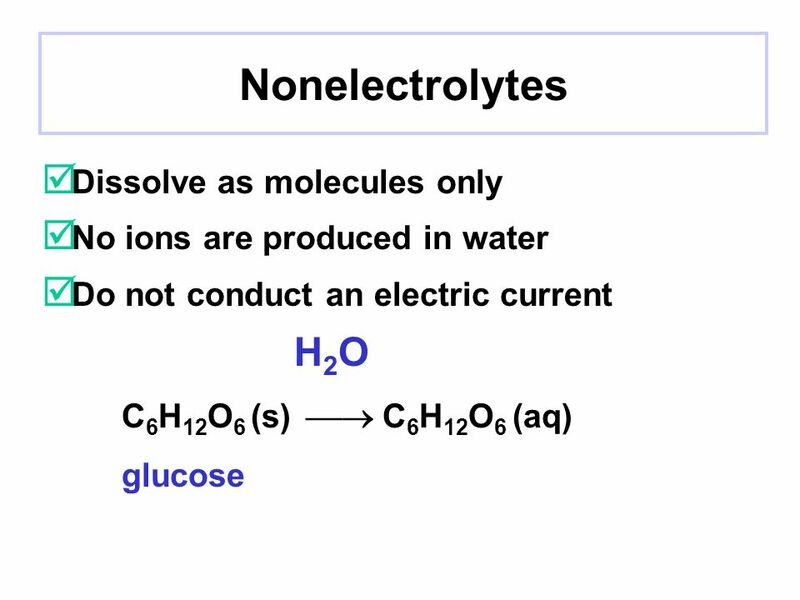 ELECTROLYTESNONELECTROLYTES  Definition and properties:  A substance that dissolves in water and conducts an electric current. 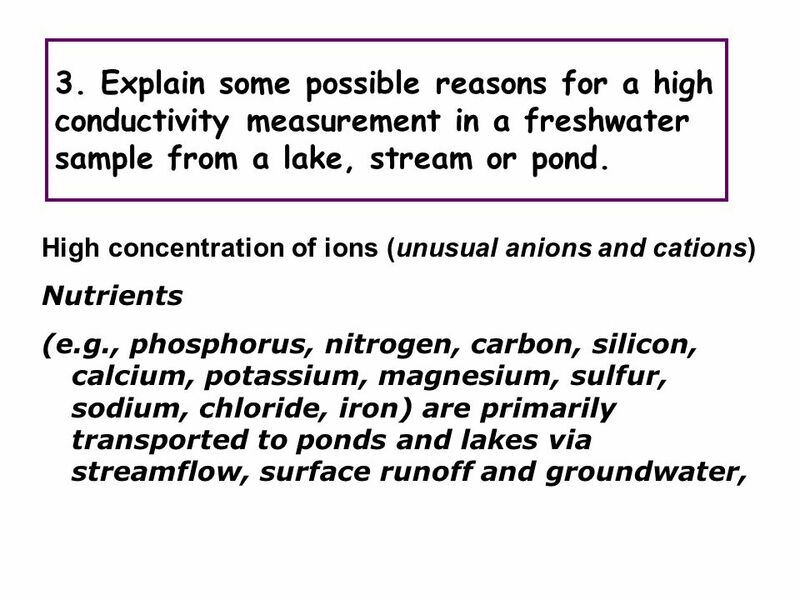 (Has mobile ions)  Definition. 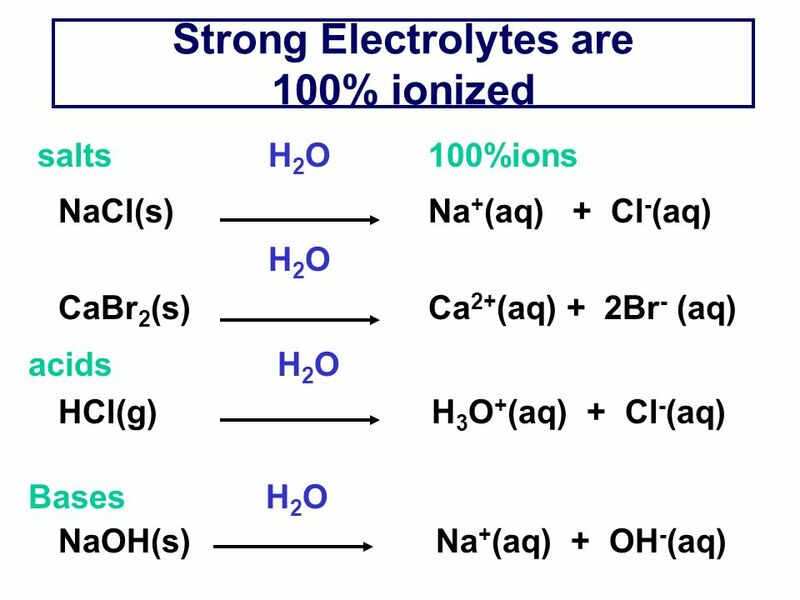 Electrolytes & Nonelectrolytes. Electricity can flow only when there are free moving charged particles present! In a solid, the free moving charged particles. 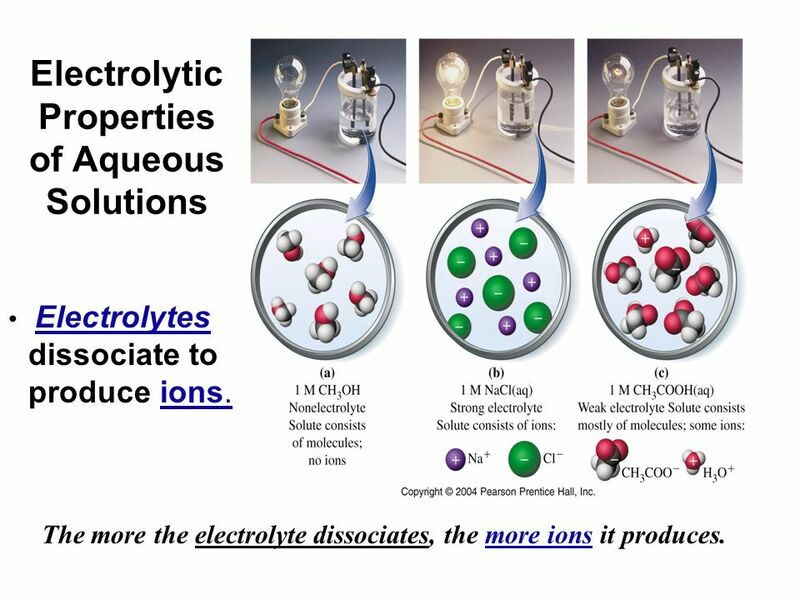 Electrolytes Some solutes can dissociate into ions. 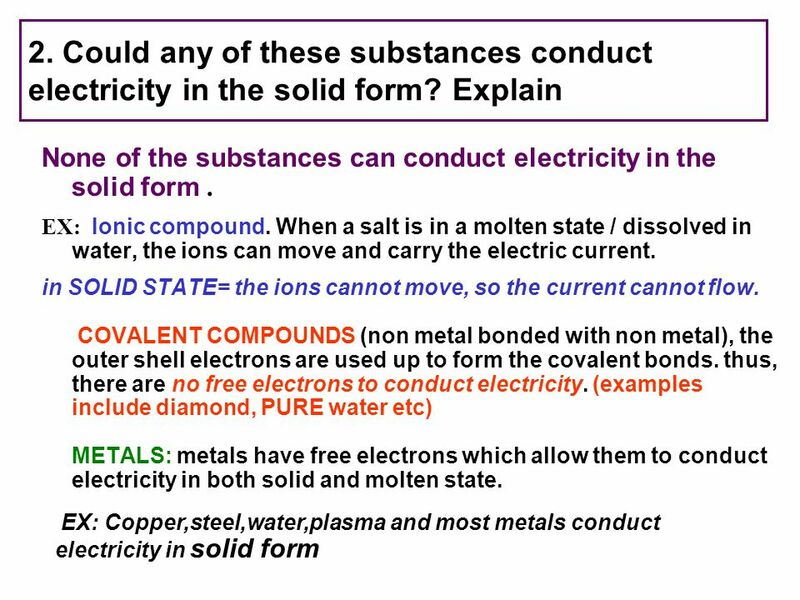 Electric charge can be carried.